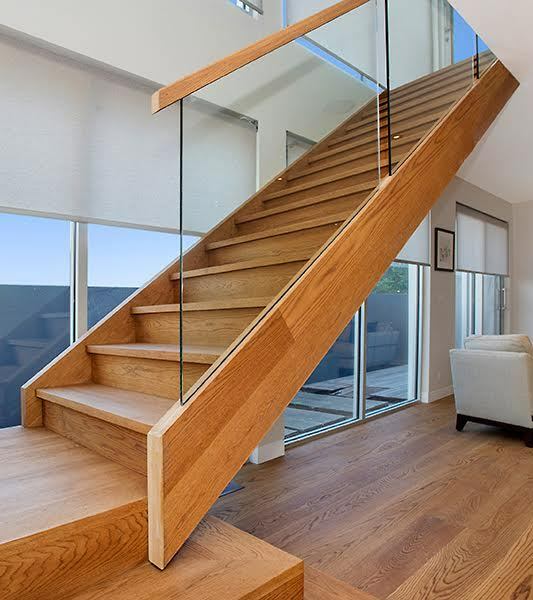 This budget ‘open cut string’ stair with clear finished treads & painted strings allows for more space and light in this double storey town house in St Albans. 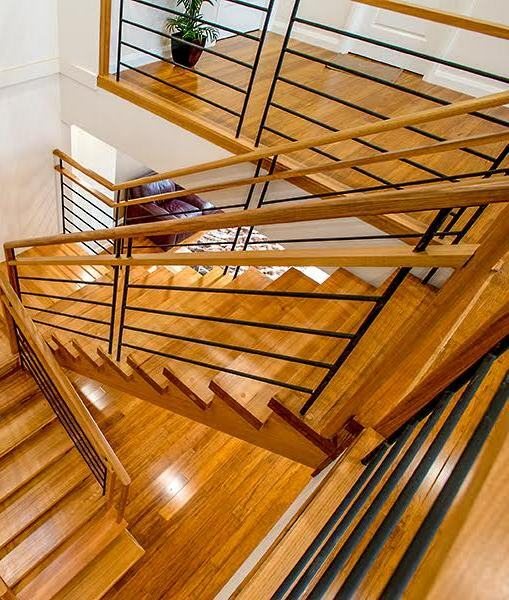 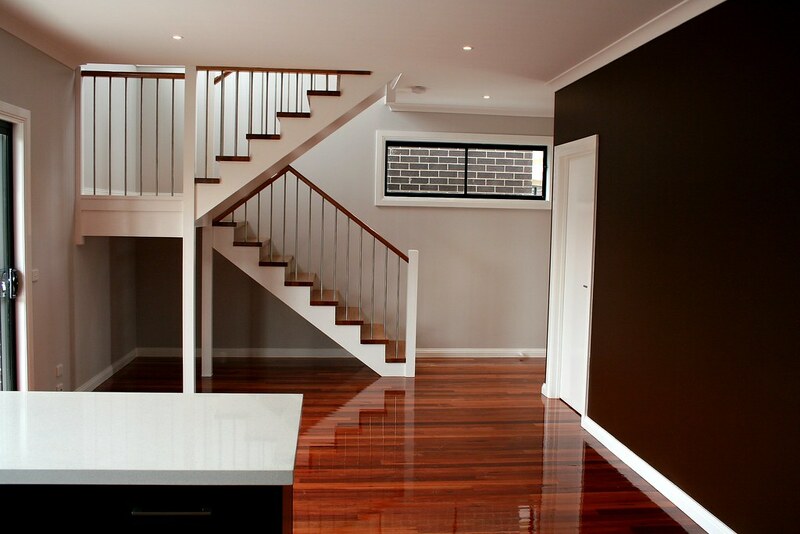 The balustrading is stainless steel tubing, with painted modern newel posts and Tasmanian Oak handrails. 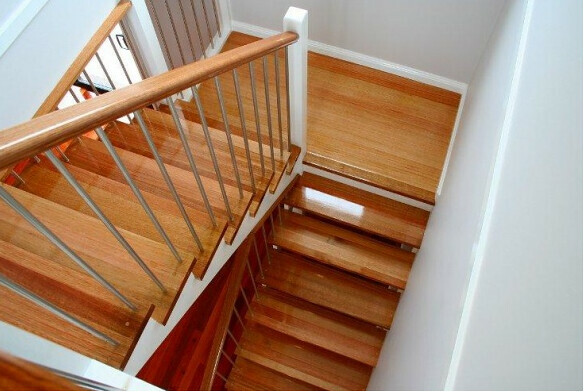 The treads and landing are downsized to better match the tightness of the stairwell. 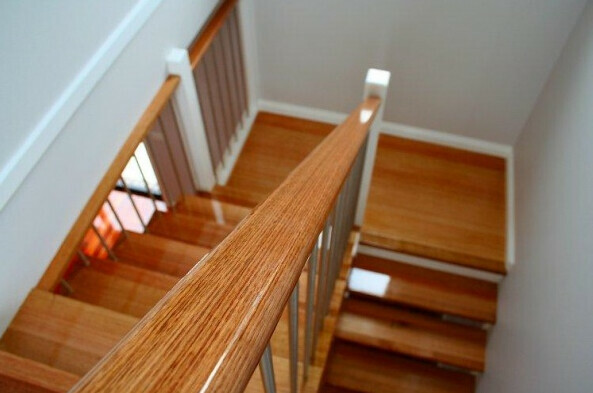 Specifications: Open stair; Cut wall strings; Cut outer strings; Treads with 30mm nosing square projection and riser reducers; The Material used are: Strings ex 50mm Tasmanian Oak; Treads ex 50mm Tasmanian Oak. Post ex 100×100 Pine. 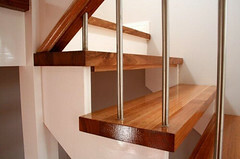 Specifications: Selected individual 16mm Round stainless steel balusters. Ex 38mm level capping; Ex38 Fascia. 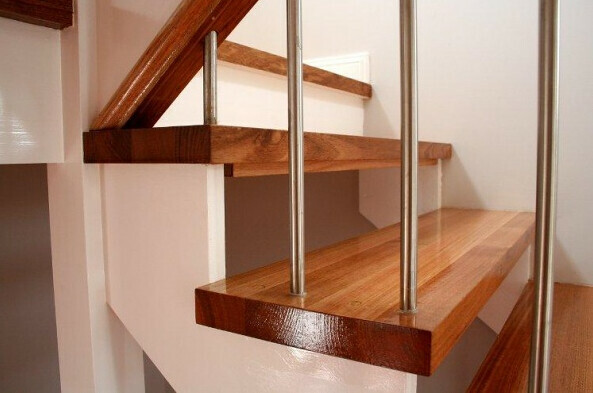 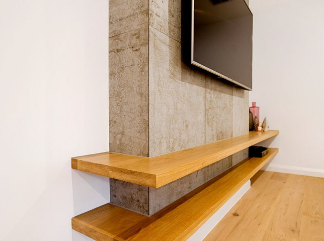 Ex 75×50 rail.